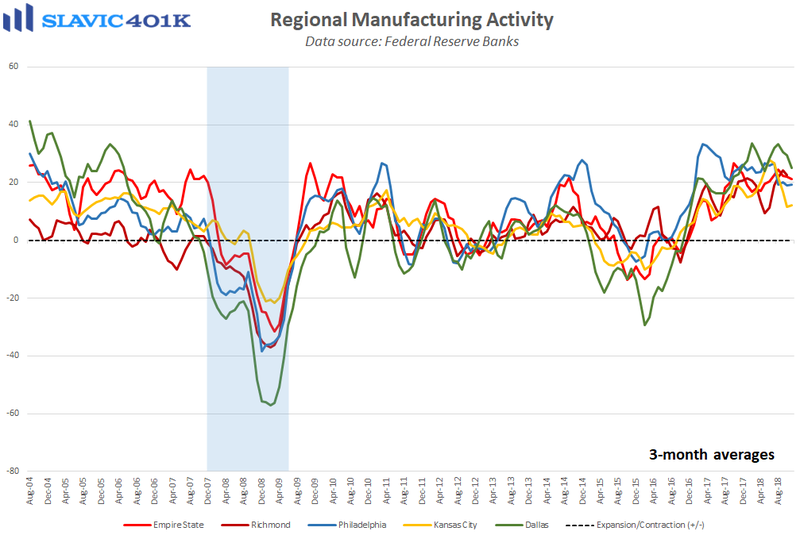 Business activity in the southern region of the country expanded at a slower pace this month, according to new data from the Federal Reserve Bank of Dallas. 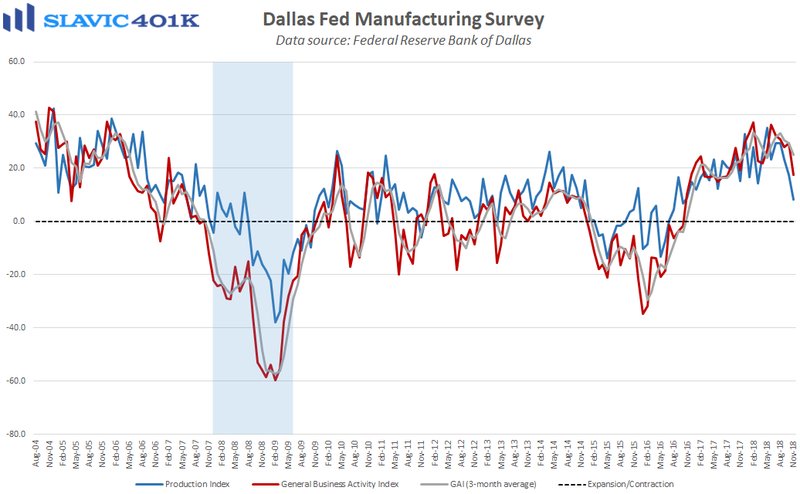 Specifically, the 11th Fed district’s manufacturing index fell from 29.4 to 17.6 in November, the largest monthly decline since March and the lowest headline reading in more than a year. Under the hood, measures of production, capacity utilization, new orders, sales growth, shipments, capital expenditures, employment, hours worked, and wages and benefits all deteriorated in November, but optimism about the future (six months ahead) improved slightly. The contrast of a bright outlook with near-term pessimism highlights surveyed managers’ confidence in the overall economy but frustration with U.S. trade policy uncertainty. Moreover, tariffs remain a frequent complaint by respondents across all industries, an unneeded headwind with materials and labor costs already on the rise. Two out of every three surveyed managers this month also said that they are currently having problems finding qualified workers when hiring, of which nearly half (45.0 percent) reported was due in part to applicants wanting more pay than was offered. In order to better recruit and retain talent going forward, increasing wages and benefits was by far the most-cited response from surveyed managers, something that will hurt profit margins if the extra labor costs are not passed on to consumers (inflation).